Honda is to reveal a prototype version of its Urban EV Concept at Geneva ahead of the official launch of the production model this year. Marking the brand’s first mass-production electric vehicle sold in Europe, the electric vehicle plays an important role in Honda’s ‘Electric Vision’ commitment for two-thirds of European sales to feature electrified technology by 2025, backed up by the October 2016 founding of an Electric Vehicle Development Division within Honda’s R&D. The brand has also been progressively axeing diesel from some of its line-ups. Both the new CR-V and the updated HR-V have ditched their previous diesel models and the CR-V has now gained a hybrid model for the first time. The prototype electric vehicle has been revealed ahead of the Geneva Motor Show in an early design sketch that clearly shows its links with the Urban EV Concept revealed at the 2017 Frankfurt Motor Show. 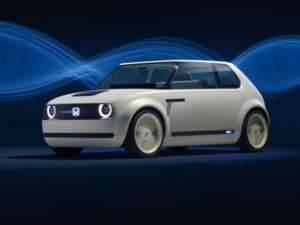 A huge favourite with motoring journalists and Honda aficionados, this concept is slightly shorter end-to-end than a Jazz supermini, and brings a retro design drawing on the boxy City hatchback sold in the 1980s along with rear-hinged doors and a charging port located on the bonnet. No details of the production model have been revealed but the brand said it’s been developed with a focus on functionality and purpose. 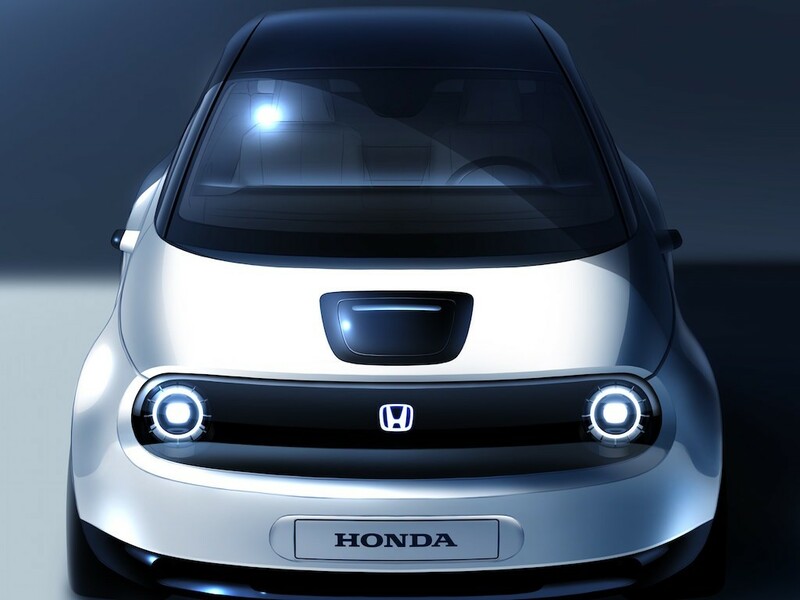 A mass production version of the car will be on sale later in the year.